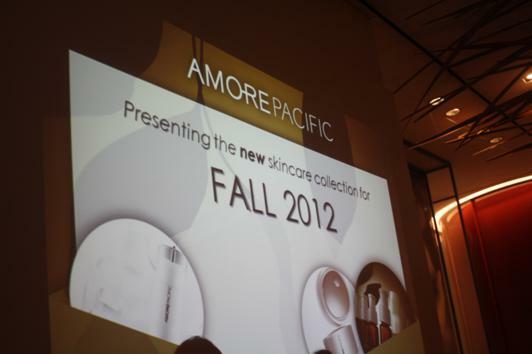 AMOREPACIFIC launched a few new products for the winter months. 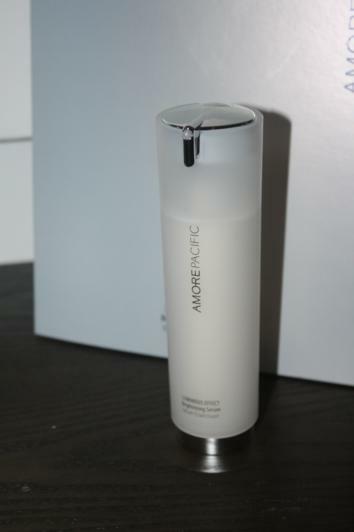 AMOREPACIFIC is known for their Asian-influenced products that promise to meet the needs of individual skin, while maintaining the overall health and wellness. For Fall, they are launching the Advanced Time Response Intensive Skin Renewal Ampoule Set, the Future Response Age Defense Creme and the Luminous Effect Brightening Serum with the Luminous Effect Brightening Masque. For the holidays, you can give the gifts of AMOREPACIFIC Limited Edition Holiday Time Response Flawless Skin Set and the Limited Edition Moisture Bound And Future Response Holiday Sets. AMOREPACIFIC Advanced Time Response Intensive Skin Renewal Ampoule Set contains EGCG and Green Tea Saponin. These are especially grown and cultivated in AMOREPACIFIC’s private green tea fields on Jeju Island, off the coast of Korea. EGCG contains antioxidants that are 200 times more powerful than Vitamin E. This product is designed to show improvements in as little as 4 weeks. 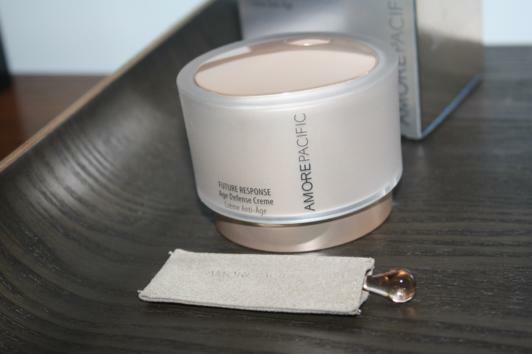 AMOREPACIFIC Future Response Age Defense Creme is described as the ultimate defense against environmental skin aging. Using a combination of Green Tea and Pine Mushroom extracts and AB-12 Complex, this creme provides deeper ingredient penetration and reduced skin sensitivity. It also provides longer lasting skin protection against environmental damages. AMOREPACIFIC Luminous Effect Brightening Serum with Luminous Effect Brightening Masque works to brighten skin, using powerful Asian botanicals. These products reduce existing pigmentation and inhibit melanin production to give you a glowing, clearer complexion. The Brightening Masque is great for instantly brightening skin while being extremely gentle on sensitive skin. The holidays are right around the corner and AMOREPACIFIC offers some great gift sets that can equip the gift-receiver with the right tools to revitalize their skin and give it a second life. To see more from AMOREPACIFIC, click here. Thank you for the auspicious writeup. It in reality was a enjoyment account it. Glance advanced to more introduced agreeable from you! However, how can we keep up a correspondence?